InsureandGo appointed ROAST to turn around their SEO activity, following on from the impact of a penalty in 2012, prior to which they were a forerunner of the industry in terms of search. InsureandGo came to ROAST with the specific search challenge of appearing on page 1 for their main terms. A target that ROAST embraced, but it didn’t come without obstacles. Following this recent history of poor rankings, clearly a bespoke and strategic campaign was imperative, and ROAST needed to think outside the box. The strategy that was put into place was that of exploring niche areas of focus in a wide and varied market place. By gathering in depth insights and market research, the ROAST team found that often people were driven to destinations by the activities that were available in them, for instance scuba diving, cycling, hiking, skiing, etc. Inspired by this insight, we deployed social listening and audience research, to identify online communities with an appetite for these activities. We chose to focus on these niche groups of people - where passion is involved, engagement and conversion rates are higher. We then identified our specific target groups within our generic audience. One big challenge we came up against was that online audiences are naturally less likely to engage with an insurance brand for leisure and travel articles. To remove this barrier, we suggested breaking away from the corporate brand identity and build an unbranded microsite to host the content. Through technical optimisation, the microsite was linked to InsureandGo’s website, and was responsible for driving rankings. By effectively creating an online travel magazine, which targeted niche audiences, the microsite became an online destination of choice. By creating a unique SEO-focussed campaign, which generated interest and engagement within these communities, we were able to create positive ranking signals, which in turn increased InsureandGo’s search visibility. This led to a boost on all lower-level search queries related to our campaigns which in turn drove up overall rankings for InsureandGo in major, very competitive, generic categories. 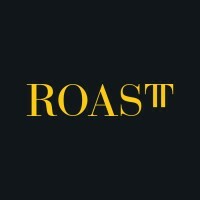 “ROAST are an efficient and easy to work with agency that are always looking to deliver on the campaigns they conduct.